How might we use play to affect a positive behavioural change? Our solution to making this knowledge-transfer engaging — and to bring to life the trade-offs inherent in waste generation — was to conceal them within the mechanisms of a board game. Board game is the key of this assignment because if can be tested and iterated easily. For this assignment, we surveyed our peers to learn about their recycling habits and designed a game to increase their awareness about recycling. Do they recycle, and if so, where? Do they know which materials can and cannot be recycled? Does waste generation factor into their purchasing habits? The human tendency to opt for personal convenience over communal good. The package is made from recyclable materials. Throughout the game, players accumulate waste by frequenting locations in Providence (e.g. coffee shops, grocery stores, etc.) and work to amass recycling “process” cards that allow them to convert their waste into new materials. Players are rewarded for acting in an environmentally responsible fashion, answering trivia correctly, creatively re-using waste, and amassing recycled materials. Design: If the player lands on a location space, he/she draws a waste card from that location category. We use locations in Providence that people are familiar with to recontextualize their daily lives in terms of waste accumulation. 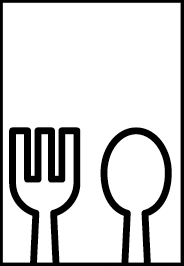 Design: Waste cards are black and white with a square colour code indicating its category (glass, metal, plastic, paper/cardboard). Which materials can and cannot be recycled? Design: Except the 4 main categories (lass, metal, plastic, paper/cardboard), there is one more category named trash to indicate the materials which cannot be recycled. Which materials can be recycled? Design: The trivia and action cards also include information to address the problem. (! )You put a mirror in the trash. Mirrors are NOT accepted so should either be donated or sold. As a penalty, take one piece of trash from your neighbor. What are the right actions for recycling? Design: The trivia cards and action cards are designed to let players know more about recycling facts and realise their roles in the process. If the player lands on an action space (! ), he/she draws an action card, reads it aloud to the group, and moves accordingly. If the player lands on a trivia space (? ), another player draws a trivia card for them and reads it aloud to the group. It the player answers correctly, he/she collects a process card. If the player answers incorrect, he/she collects an extra waste card. Examples: (? )Anything you recycle should be placed in a clear plastic bag. (F: You should only place shredded paper in a clear plastic bag. If you place any other recyclables in a clear plastic bag, that bag will go in the trash. (! )You crumpled a piece of aluminum foil before recycling, making it easier for the sorting machine to recognize it. You may trade one piece of waste for another player’s piece of waste (of your choice). Click to see the full contents of trivia and action cards. Design: If the player lands on a recycling station space, he/she draws a recycling process card of their choice. 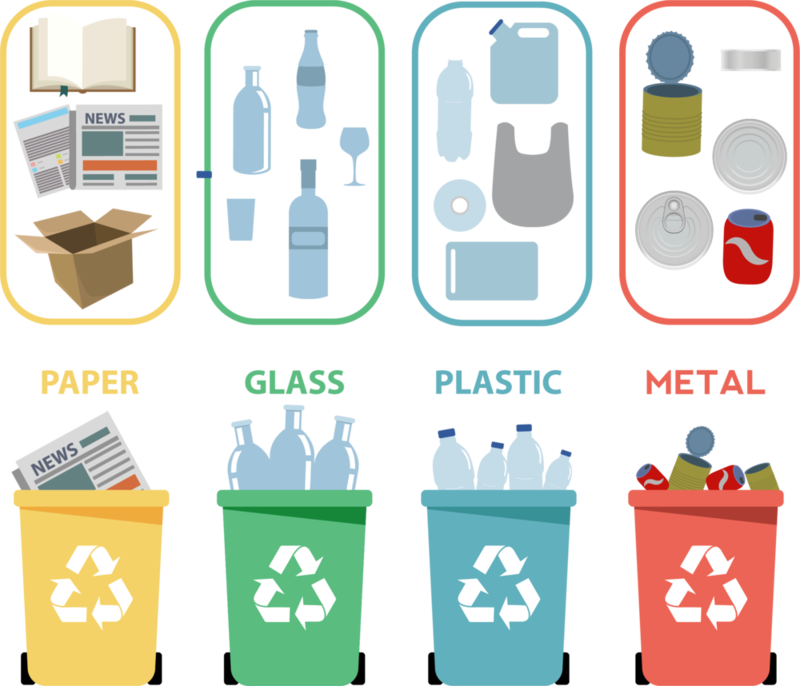 There are 4 series of recycling processes, and they are colour-coded according to the waste category. Theses processes have 3-5 steps depending on complexity. The number and colour gradient corresponds to each step of recycling process of a specific type of waste. Players need to collect a complete set of processing cards to be able to convert his/her waste cards to new product cards. The longer the recycling process, the higher the points on the corresponding new product cards. A player with a complete process set may continue to convert new waste cards of that type into new products. By collecting process cards, players can know each step of the recycling process. They also get to know how many steps are required for different categories of wastes. Design: Wastes + Processing = New products. New product cards are coloured accordingly, and value of each type of waste is indicated at the right bottom corner. Once the game ends, all players tally their points. The new product cards have different values depending on the complexity of the recycling process. By visualising the new products made by recyclables, players can realise what the wastes can be turned into and how the new products can be used again. By virtually involving into the whole recycling process, players can know the value of recycling better. How to reflect the choice that we need to make everyday: personal convenience or communal good? Design: If the player lands on a convenience space, he/she has three options: 1) The player can give 2 pieces of waste to another player, and return 1 process card. 2) The player can throw away 2 pieces of waste, and return 2 process cards. 3) The player can hold on to all of their waste cards, and collect 2 process cards. At a convenience place, players get the chance to get rid of some of the waste cards (non-recycled card will detract 3 points at the end). However, by returning process cards as a compensate, he/she will lose the chance to turn the waste into value new products (+points at the end). Tradeoffs need to be made by taking a certain action. But Is recycle the best solution? Design: If the player lands on a re-use space, he/she has the opportunity to think of a possible new use for any of his/her pieces of waste. If the player can convince all of the other players of this new use, he/she can exchange the waste card for a re-use card. At the end of the game, re-use cards are worth 5 points. Remember that recycling is the LAST of the 3R’s (Reduce, Reuse, lastly, Recycle.) While an item can be recycled, don’t fall into the trap of thinking that extra consumption is no longer a bad thing. Reduction of consumption is where we can make the most difference, as recycling does require substantial energy. We invited guests to play the game with us and get feedbacks through observation and surveying. Future development: This game was designed for a highly specific user (a RISD student), but the template could easily be translated for other site-specific locations and refined for audiences of different ages. 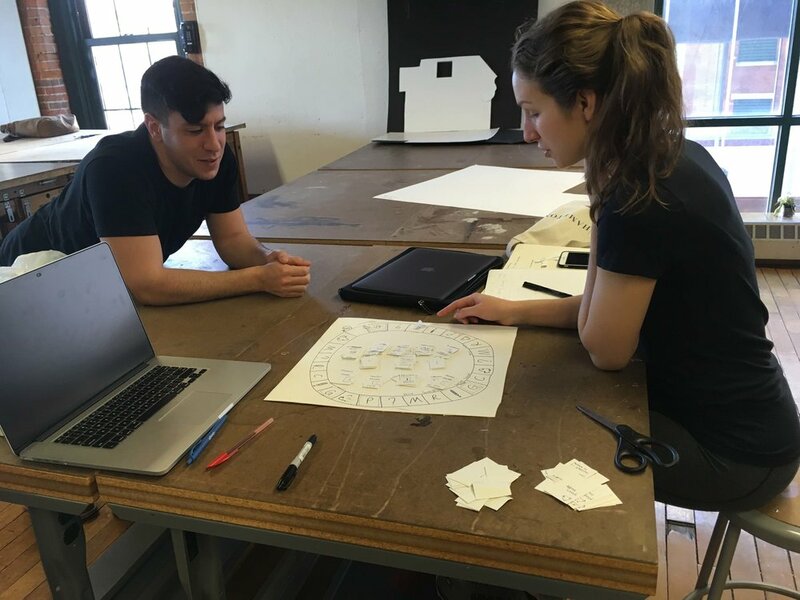 In the future, the templates can be further developed and digitalised online so users can customise their own board game based on the local state rule of recycling. Thoughts: During the research, we learnt a lot about recycling and realised how we don't recycle properly in our daily life. We want the players to learn more about recycling while playing the game so we embedded knowledge/facts in this game. At the same time, we also made players to make moral decisions during the game by adding more complicated layers into the game. Designing a game is not like as easy as what we thought as there are a lot to consider in order to have a system which includes all our design concerns. We also need to keep a certain level of complexity to not confuse our users.